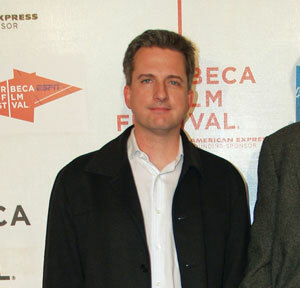 In Defense of Bill Simmons. Seriously. Sportswriter Bill Simmons gets a lot of heat for a lot of reasons. But discussing the effect of Dr. King’s death on the city of Memphis shouldn’t be one of them. I’ve criticized ESPN’s Bill Simmons 1,000 times in 1,000 columns. That’s what happens when you are perhaps the most read sports columnist in the country. Everything you write becomes a point of reference. When I’m writing or speaking about why I dig the WNBA or abhor the joyless Bill Belichick, Simmons’s disdain for women’s hoops or adoration of Belichick becomes my go-to example of the ways in which those at the heights of sports journalism have opinions that—in my humble view—are dead wrong. It was only in the aftermath of King’s assassination, the subsequent urban uprising, and as Honey points out, “the largest domestic deployment of military forces since the Civil War” that they finally won their union. Their victory, tragically, did not find purchase across the city. Today, Memphis has one of the highest urban poverty rates in the United States, with 85 percent of its public school students categorized as “economically disadvantaged.” 82 percent of the “economically disadvantaged” are African-American. What does any of this have to do with Bill Simmons? An arena full of fans is a collective space, and Simmons was linking the shadow of struggle, bloodshed and tragedy with the mentality in this collective space. Some may argue that given the youth or whiteness of the crowd, this is at best a foolish observation. But King’s death—of course—doesn’t just weigh on the psyche of those who remember it. As for the demographics of the crowd, the very greatness of what King and the sanitation workers did was that they made the struggle involve everyone, not merely the poor and people of color. Those in power were afflicted with King’s vision of true equality, a vision that threatened their perch atop the city. The message I received from listening to the podcast in its entirety is that sports doesn’t exist in a vacuum and the past is not always past. Criticize Bill Simmons by all means. I may again by my next column, but not for this. He—and Jalen Rose—should be applauded for reminding everyone that Memphis wears its scars openly for the world to see. After all, they’re our scars as well. On Wednesday night, Seattle became the seventh city in eight weeks to host a one-day fast food strike. Read Josh Eidelson's report.